Attention! HOLLYWOOD Night Can’t Be Missed This Friday! Forget those Monday Blues! The weekend is just around the corner! 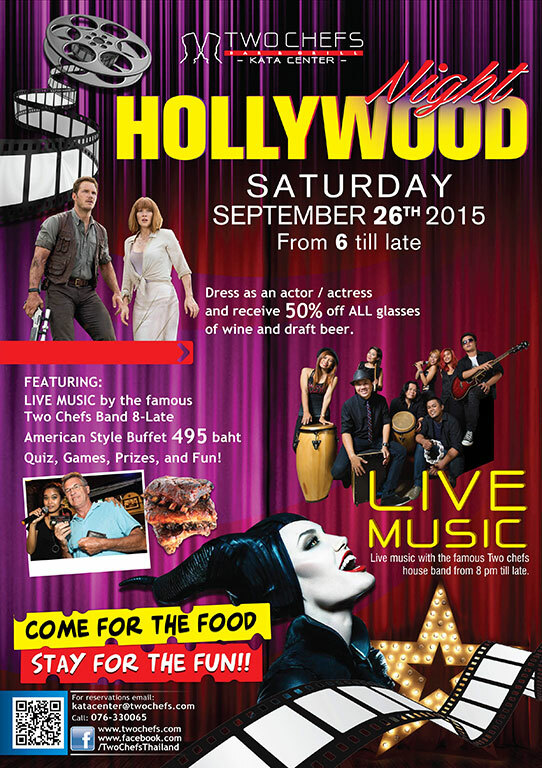 Don’t miss our Hollywood Night at Two Chefs Kata Center this Saturday!!! Come join us Saturday September 26th 2015 from 6 till late! DRESS as an ACTOR/ACTRESS and RECEIVE 50% OFF of ALL glasses of wine and draft beer! BOOK NOW at https://bit.ly/TwoChefsReservations for 20% OFF ALL Menu Items! Quiz, Games, Prizes and fun!